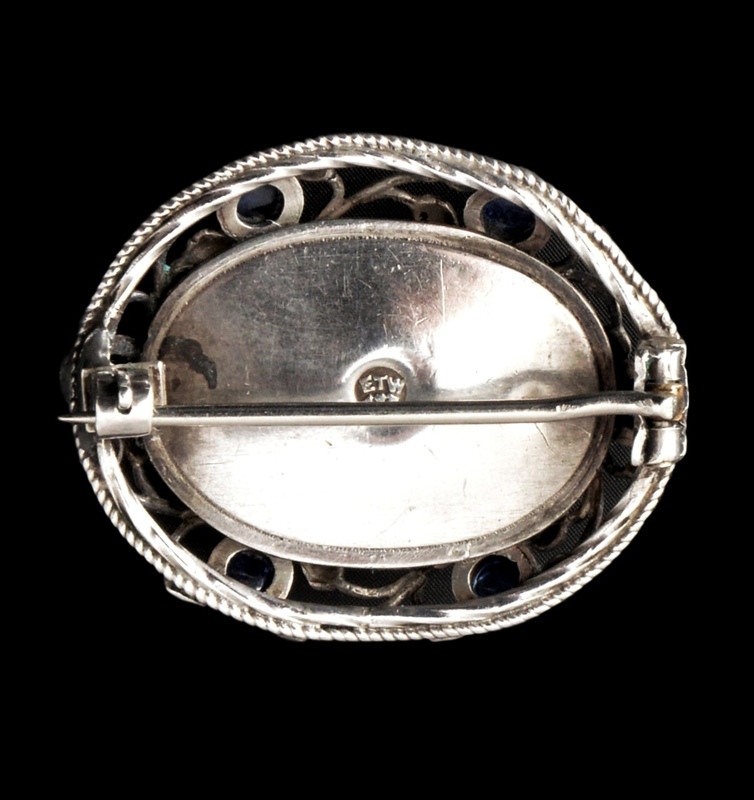 A rare Thomas Edmund Wyatt Ware brooch, signed with his monogram. 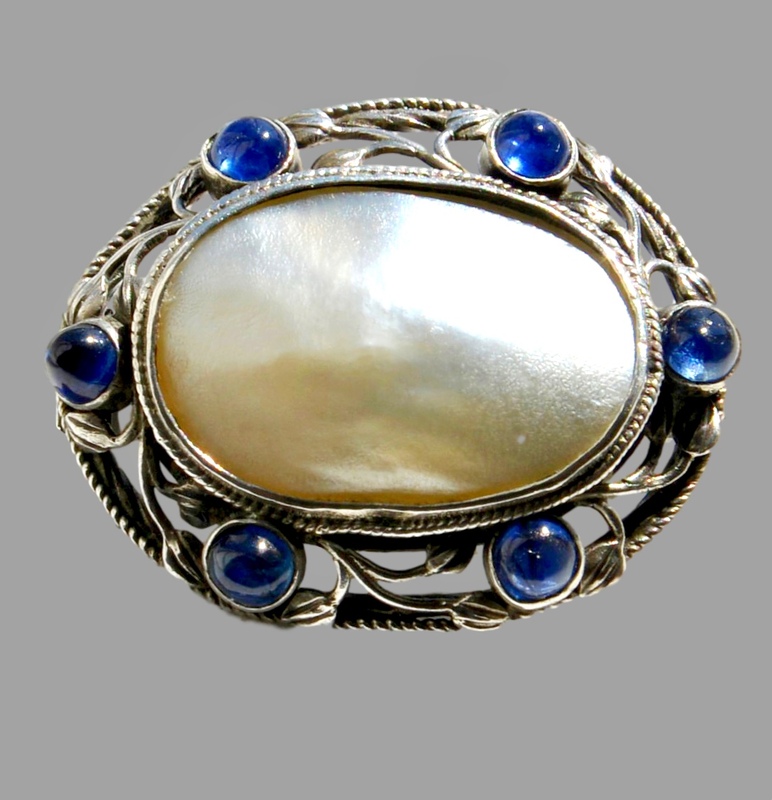 The brooch is in silver set with large blister pearl centre surrounded by cabochon natural sapphires. 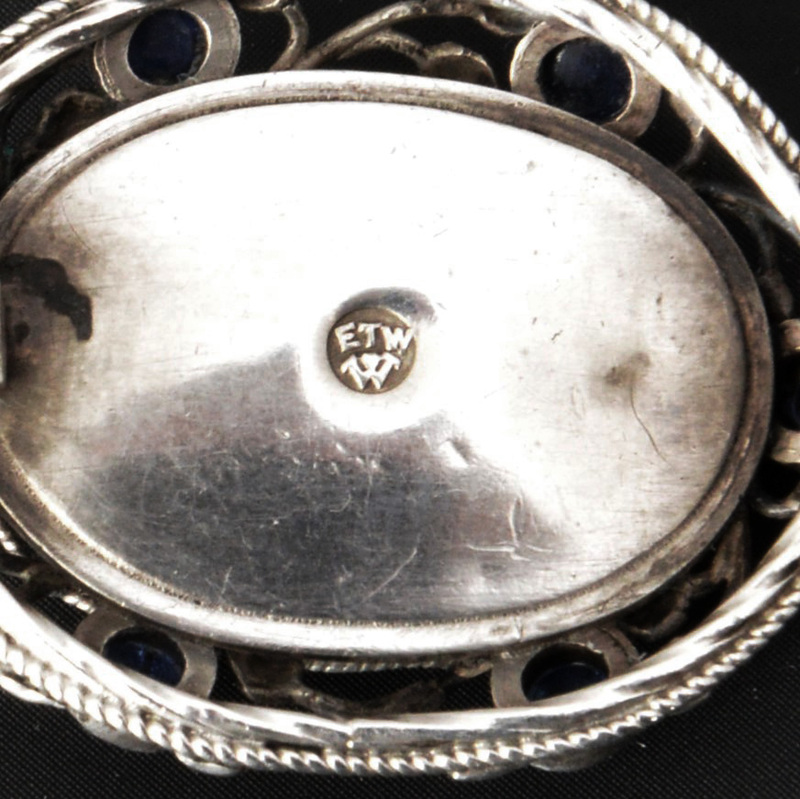 Thomas Edmund Wyatt Ware was a teacher of jewellery and goldsmithing at the Central School of Art from 1910-1940, alongside the likes of H G Murphy. Initially trained as a sculptor, in his later years he became a highly regarded sculptor. A gold and cabochon sapphire engagement ring he made is on display in the Victoria and Albert Museum, see link for more details.